This entry was posted in Uncategorized and tagged Design, Fashion, Maps, Muji, shopping, Style by christao408. Bookmark the permalink. How cool is that!! I had never seen handkerchiefs before. My dad always carried one, my brother in Dubai does too, and my son in law always carries one. I bring him the good Indian cotton kerchiefs from home whenever I go there. This was neat Chris. @Wangium – I do. And I blow my nose on napkins, too. Oh, cool handkerchiefs. I presume the one in BKK doesn’t carry this style. I like the Muji style of minimalism! 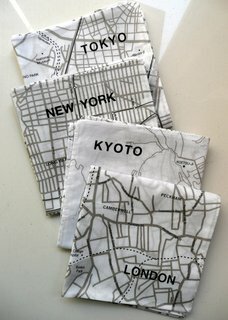 Now, what I need is a handchief with Bangkok map so I would not get lost, hehe. I have not carried hankerchief for the longest time. You are such a gentleman! Yea, I have a few white retractable muji pens and they work great! When I visited last time they even have furniture and really minimalistic earthy toned furniture. 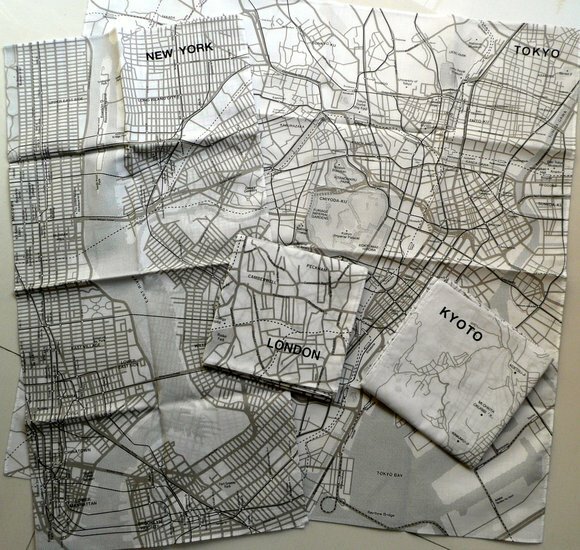 I really liked their design.Maps of the city is great. They should make the MTR station maps too. I really like these. I’m also very into this kind of thing. One of my favorite old umbrellas, it looked like a plain umbrella on the outside (black) with a conservative wooden handle, but when you opened it up; the inside of it was the roof of the sistine chapel. It was lovely.I’m one who carries a hankerchief. Not daily, but whenever I wear a suit, I have a hankerchief. It’s one of those old world things that I refuse to put down. I would love to get some of these. This is so cool. And no, I don’t carry a handkerchief. Oh! I LOVE these! What a cool store, too.When I was a little girl, my mother’s Cousin Steve always had a handkerchief whenever I needed one… and he was the epitome of “Gentleman”… whenever I meet a man with a handkerchief, I think of Cousin Steve, I smile, and I think, “What a gentleman”. I brought with me a handkerchief when I was a primary school student (in 1960’s). I have never had one since then. I consider you to be very special. I’m also a handkerchief fan. With all the travel, I find carrying a few around very convenient in case of any emergency from the unexpected cold to wiping pigeon poop (it happened to me recently!). My grandfather used handkerchiefs and he’d put some cologne on them so they would be more pleasant (they’d keep some of the fragrance even after being washed). Wow, you really don’t see too many people that carry around handkerchiefs anymore. I love these ones but they’re almost too cool to actually use! Too bad they don’t have one for Taipei! @ZSA_MD – Oh, I’m sure those Indian cotton handkerchiefs are especially nice quality! @TheCheshireGrins – That’s what I’ve been thinking. Probably destined to be tray liners for cocktail parties. @yang1815 – Yeah, there are plenty of cities missing, aren’t there. I mean, Kyoto but no Taipei? Whatever. @TheLatinObserver – That’s a good idea. I never thought of that, but a nice suggestion. @Redlegsix – They need one with a Kansas map on it, since the handkerchiefs are almost as flat as the state! Ha ha ha… just kidding. @choyshinglin – Thank you. Very nice of you to say. @SamsPeeps – It is nice to have memories of people like that. @Dezinerdreams – You don’t? What with all the hard work you’re going to have in store for your new venture, you might want to consider carrying one. =D@arenadi – You really had an umbrella with the Sistine Chapel inside? That’s… not something I would have expected you to have. @rainbow7candi – Their stores in Japan carry all sorts of stuff from furniture to cooking gear to bicycles. Really amazing. @stevew918 – The tuk tuk drivers could use them as maps. @CurryPuffy – Last time I stopped at the Muji at Central they didn’t have these but I should check. They often have new items. @christao408 – Oh? I’m curious… what makes you think an umbrella with the roof of the sistine chapel on the inside of it isn’t something I seem like I would have?I’ve been searching for another umbrella like that for years now, ever since it got stolen. I have a thing for unique umbrellas. Very cool! I had never heard of Muji, but I like its description of its philosophy.My father and brother both carry handkerchiefs. But then, allergies are common in our family. @christao408 – Aaaaaaah another comment about my flat state….lol we DO have the lovely Flint Hills you know!!! But I agree…driving across Kansas can be pretty BORING!!! My father always had a handkerchief handy. I learned to iron by pressing his hankies – they had to be folded just so. It was one of our default Christmas presents… he always needed new ones since he had nose bleeds all the time. @christao408 – I used to carry one as a child; now, not so much, since I’m not around hay and horses all the time. You’re a classy gentleman, kinda like a Cary Grant type. I usually just use tissue paper. I haven’t used handkerchiefs since I was a kid. These ones are so beautiful I wouldn’t dare blow my nose on it. I am desperately searching for the a New York version of the handkerchief above. Don’t suppose you still have it and am willing to sell? Or would you happen to know where I can acquire one? It is for someone very dear to me. It is well used and I’m sure you would not want it. Have you done a Google search? There are several hits and you should be able to find a place to buy one.